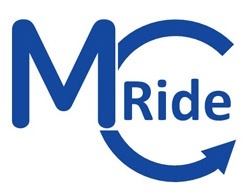 The dial-a-ride services in McHenry County have been combined into one coordinated service called MCRide. This has made it easier for suburban commuters and persons with disabilities to schedule and use dial-a-ride services in McHenry County, has improved access to jobs and job related activities, and has provided greater mobility to all individuals. This service receives a portion of its funding from the Federal Transit Administration of the U.S. Department of Transportation through grants administered by the RTA. For more detailed program information, check out the MCRide "How to Ride" Brochure (PDF) and Rider's Guide (PDF). Para Información de MCRide: Guia del Viajero a los MCRide Dial-a-Ride Servicio de Transporte.